32 bars. Strangely the dance is not described in this article as being to the tune "Speed the Plough". 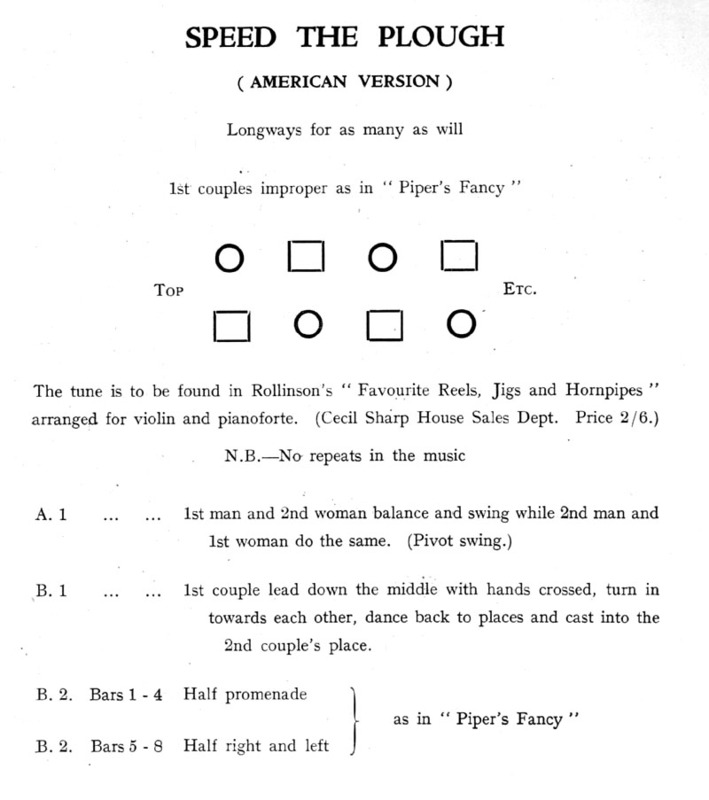 The standard English version is in the Community Dance Manual. There is no indication of where this "Amercian Version" came from. The first half is completely different from the American version described in "Cracking Chestnuts". There is another completely different Scottish dance to the same tune. All the other versions are danced to the tune "Speed the Plough".